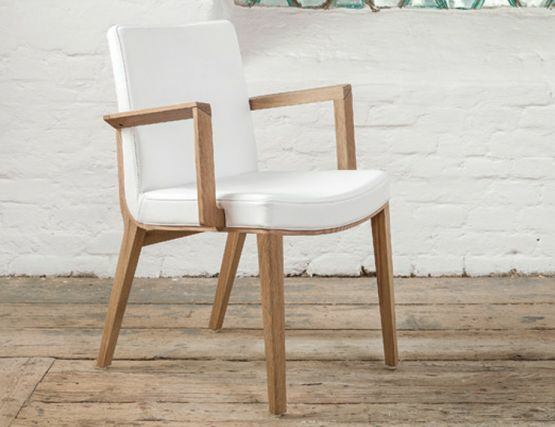 What a simple, elegant modern dining Armchair. Highly styled designer pieces can still be modern and chic. 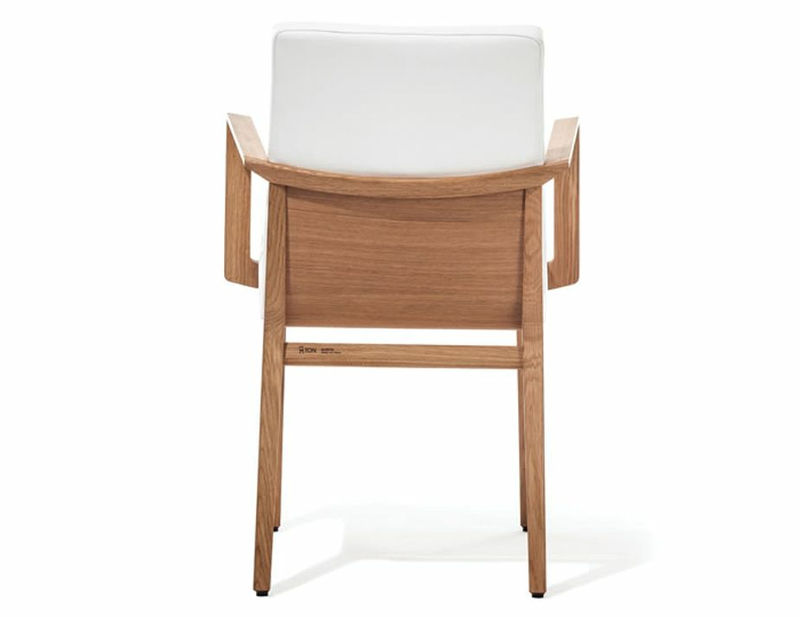 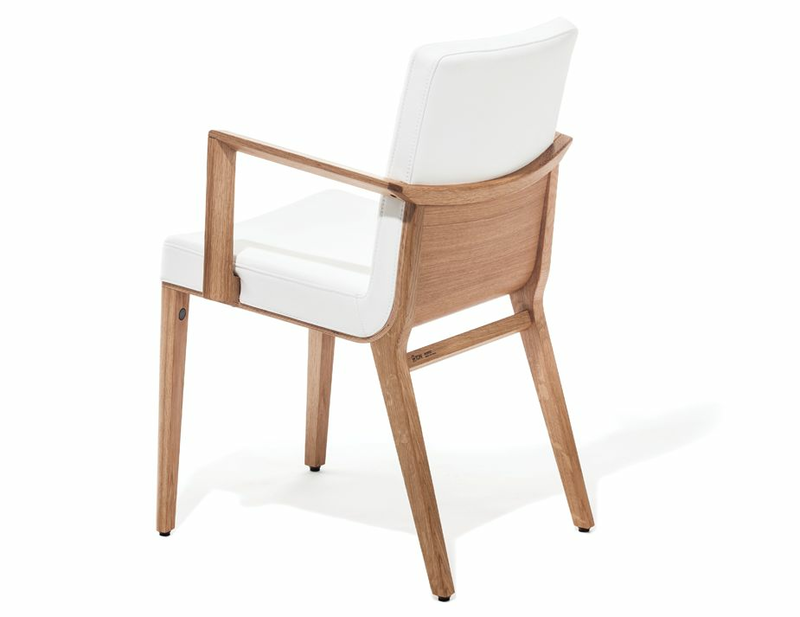 Designer Kai Stania pairs hand-smoothed oak and fine upholstery or natural leather for a chair that perfectly embodies modern refinement. 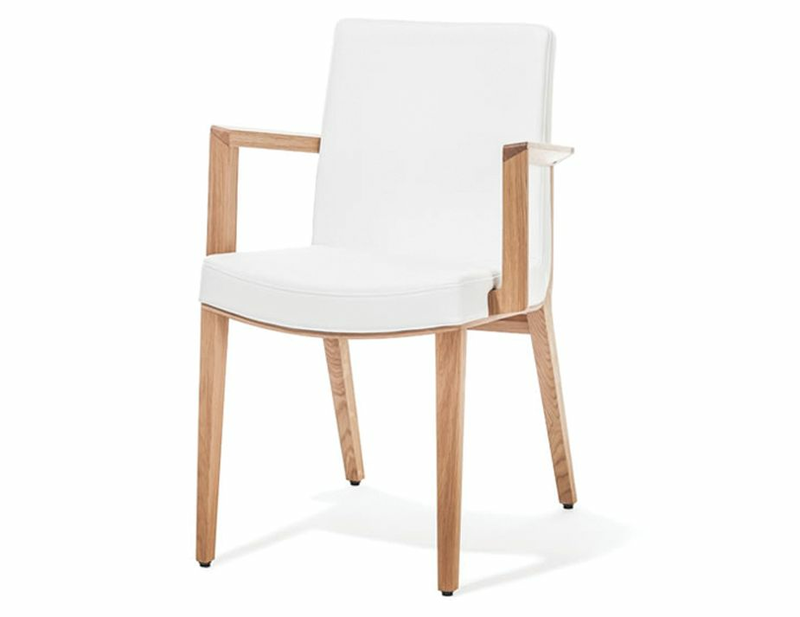 Not only is this natural oak designer dining chair a study in style, it also embodies the best of fine European furniture construction. 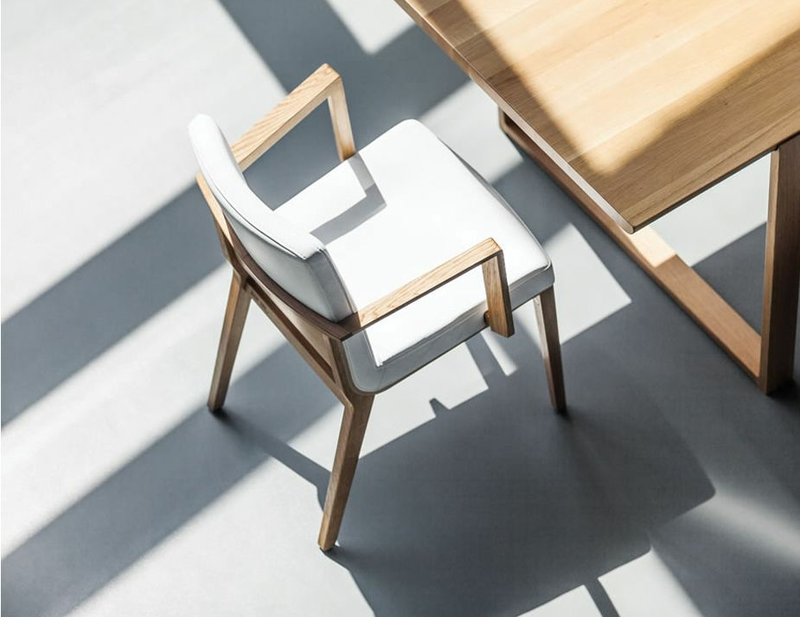 With meticulous sewing and upholstery, pocket springs in the seat and every detail attended to, the Natural oak Moritz dining armchair is something quite special. 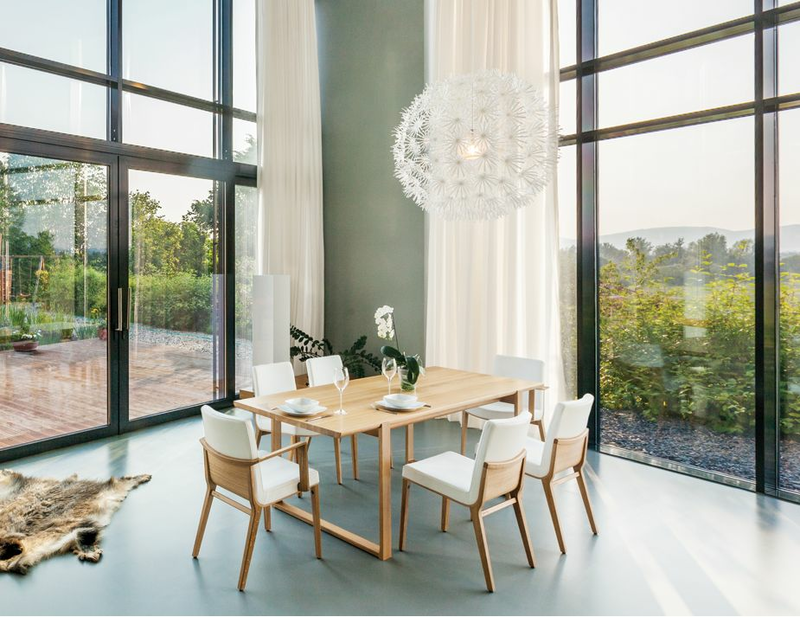 The Moritz collection from furniture designer Kai Stania and European furniture leader TON, includes a lounge style chair, bar stool and armchair seen here. 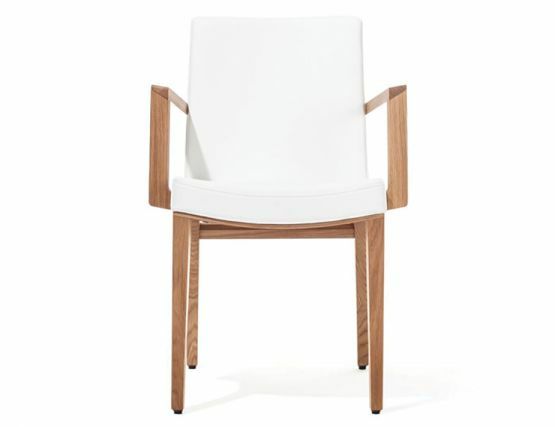 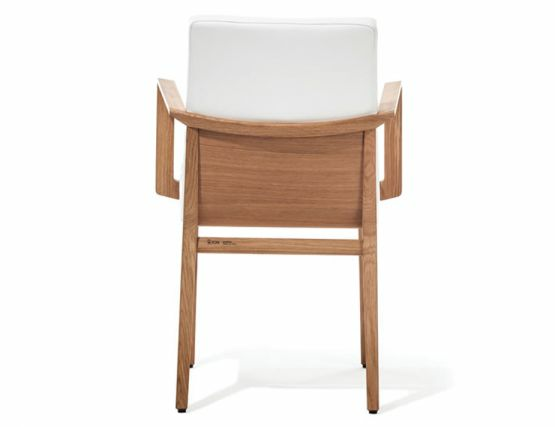 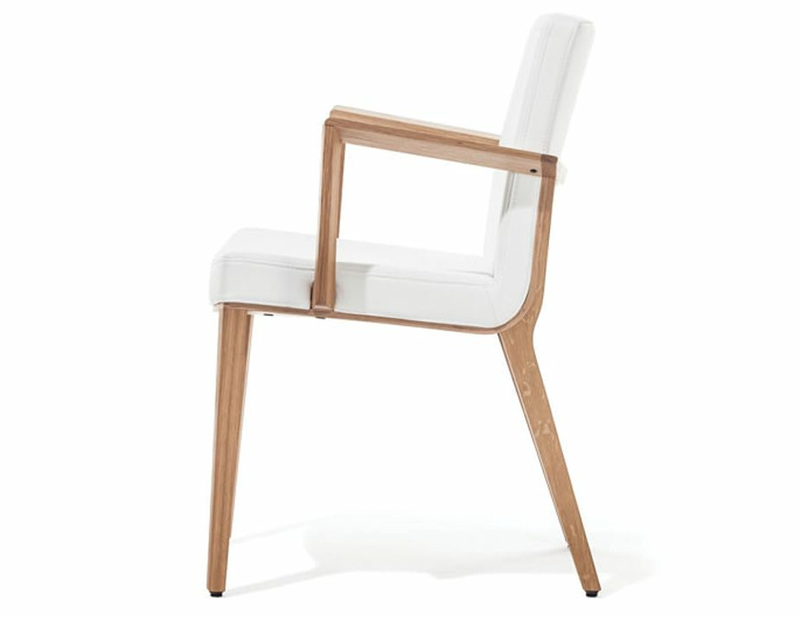 Elevate your dining area or upscale your kitchen with a fine, modern designer dining chair. 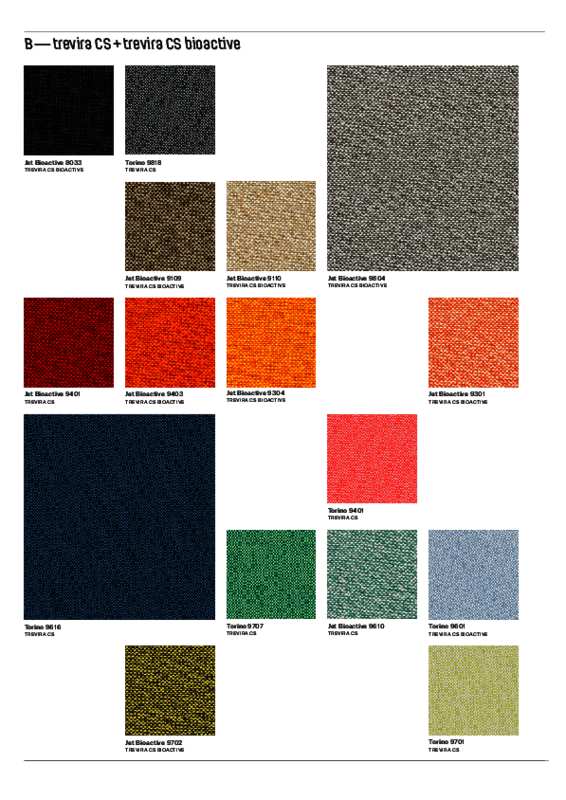 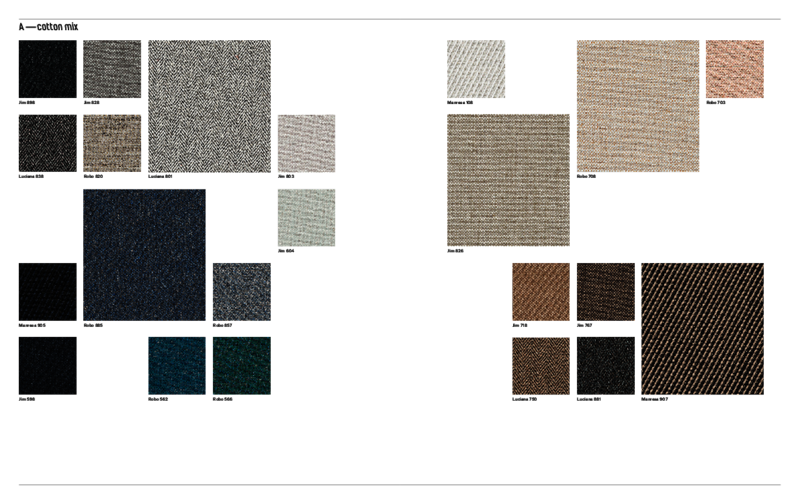 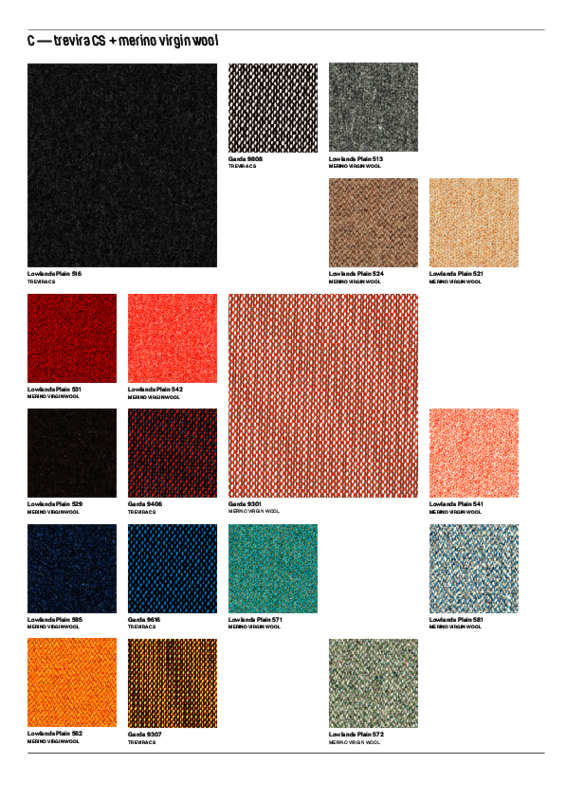 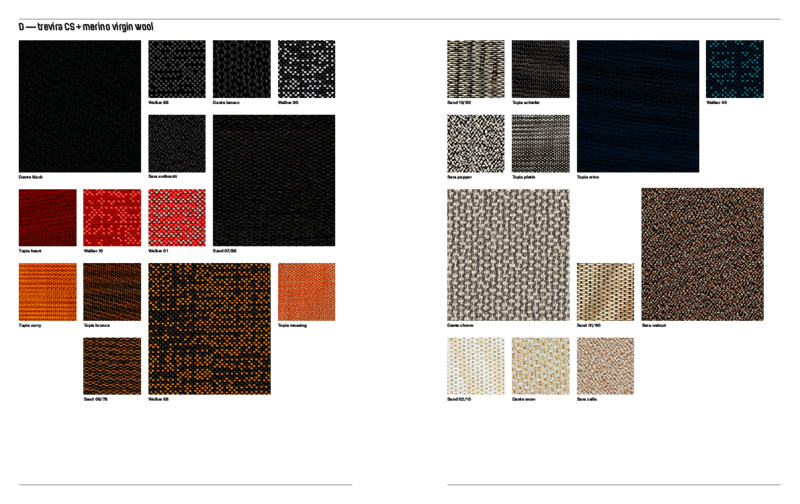 Good design and good materials come together to a design worthy of your thoughtful style and impeccable taste.